Highbury and Islington train station is an important hub in London and it offers the chance to get to a number of places with National Rail without too much hassle. it makes a great jump off point for sights such as Arsenal's old Highbury stadium and new Emirates stadium, Camden Passage and Pleasance Theatre. Made up of two old train stations, the first Highbury and Islington station was built in in the late 19th century while the second one opened shortly after in 1904. The Victoria line which runs through the station was designed to offer as many changes possible between Underground and British Rail lines and this means that you can get almost anywhere you need to go from the station. 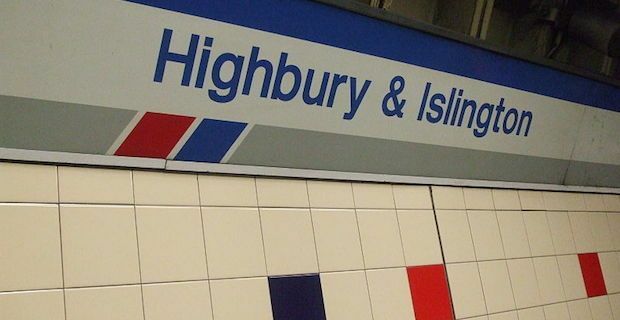 Highbury and Islington station is situated in Northeast London and is served by National Rail trains travelling on the Northern Line from Finsbury Park to Moorgate. You will have no trouble navigating your way to anywhere in London from Highbury and Islington as the station lies in between Finsbury Park and Kings Cross Pancras on the Victoria Line as well as between Caledonian Road & Barnsbury and Canonbury on the North London Line with trains every 6 to 10 minutes most days. You can find some great deals and discounts online to get you to and from Highbury and Islington station. Websites like www.mytrainticket.co.uk and www.railsaver.co.uk sometimes offer up to 80% discounts on train tickets with National Rail. These discounts apply to Advance tickets as well as Off-Peak and Anytime fares although the best value can be secured by by booking one-way Advance tickets booked as far in advance of travel as possible. Last minute breaks across the UK and on your doorstep!